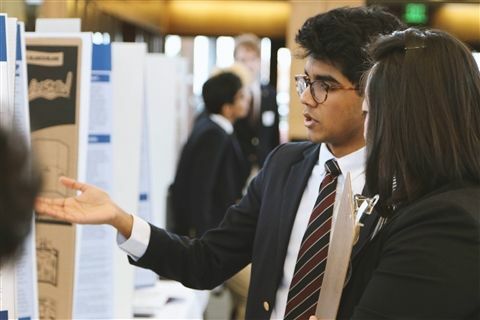 University School celebrated student research and engineering projects at its 2nd annual Local Science Day and Junk Box War. 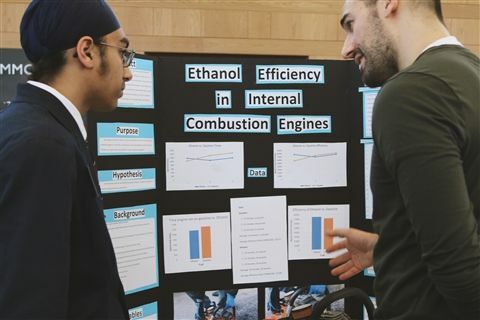 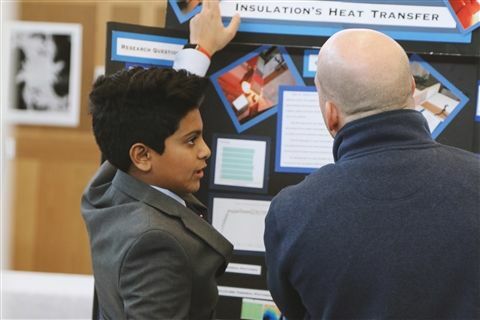 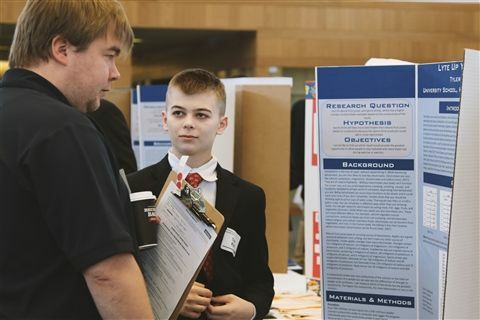 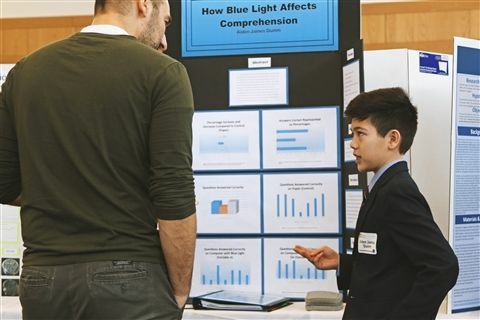 Fifty-eight middle and upper school students presented their research to judges hoping to earn a qualifying score to compete at the District Science Fair. 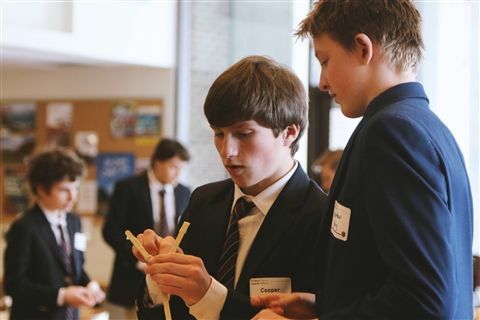 Twenty-three of the 28 upper school boys and nine of the 30 middle school boys qualified for Districts. 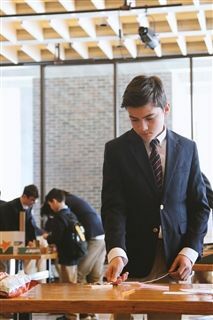 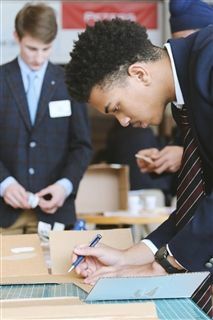 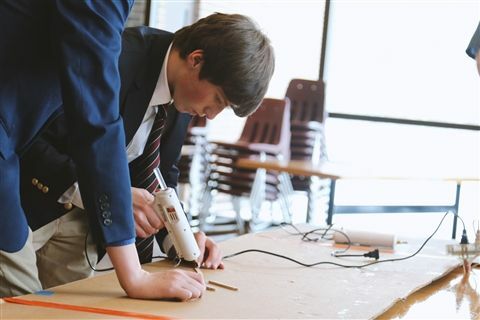 Afterward, teams of students competed in a “Junk Box War.” Each team received identical boxes of random materials which they used to construct mechanisms to launch ping pong balls into moving targets.